Modular Build Set. Rebuild, piece by piece, the home of Pre-War Sanctuary from the years. Wasteland Outpost - Abernathy Farm blueprint Non-SKE version. 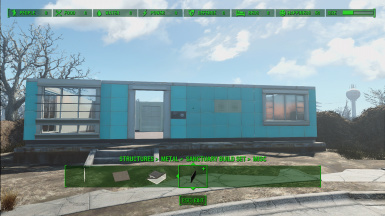 Wasteland Outpost - Tenpines Bluff blueprint I used the Non-SKE version. 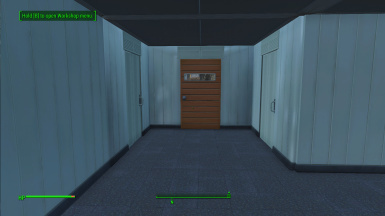 • Revised Collision on all doors (internal doors will need adjusting in game). Went from most intense collision method to the least. • Added Tile interior variations of most existing walls. • Add extruded window, which has a long sill. This is a compromise, since adding the actual extruded window would require odd shaped floor pieces. • Added the carport roof type. Massive Roof overhaul is the next expected phase of this project. • Straight Staircase added, under Interior Walls. Added interior railing, cleaned snapping on floor, walls. Corrected textures on the "Garage Column", previously just appeared black. Added new PostWar set, with new textures. 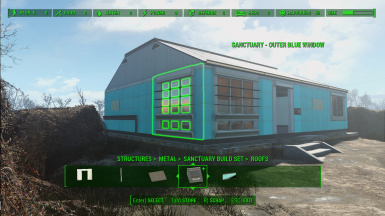 Ever found it odd that Sanctuary has a unique building style, but yet, you can't build anything like it? Wonder no more! 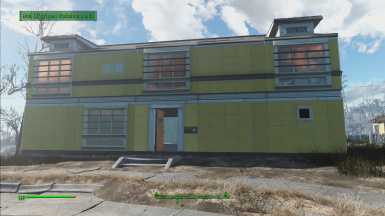 Now you can build in the style of Sanctuary. 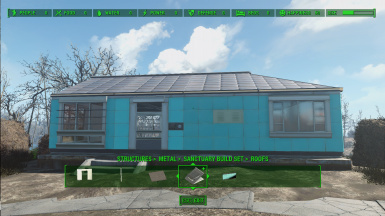 It adds two new categories under "Structures>Metal" - "Pre War Sanctuary" & "Post War Sanctuary", to your workshop. 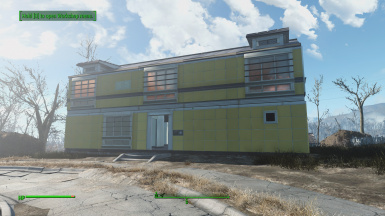 Allows you to build your own Sanctuary homes of varying heights. 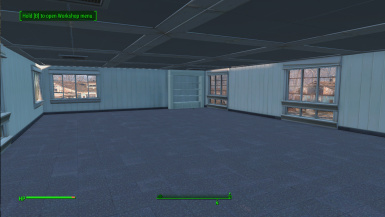 Build set contains Floors, Walls, Railings, and Roofs in the Sanctuary style, in both Pre-War and Post-War fashion. Current build colors are Blue, Green, Yellow, and Red! All are Navmeshed! Setup your ini as described HERE. Use Nexus Mod Manager or Mod Organizer to install. 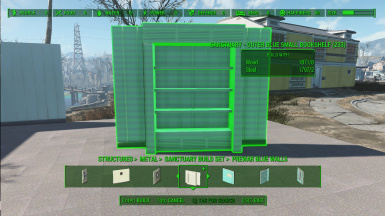 For manual install copy files to your "Fallout 4/Data" folder. There is a SKE version available. Otherwise, this mod modifies the default game menu. 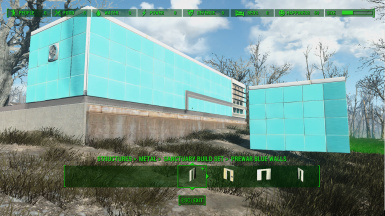 The menu I edited isn't touched by many other mods, so it is unlikely there will be compatibility issues, but it's still possible for it to mess with other build mods. Mods that add menu items via a script should function normally. I'm still learning how to script the menu addition.